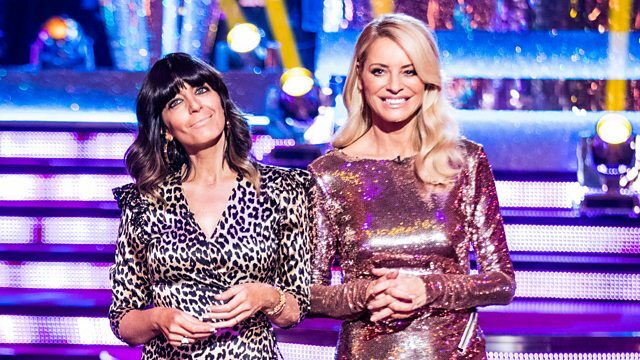 Tess Daly and Claudia Winkleman present from the Blackpool Tower Ballroom, revealing who is in the dreaded dance-off. Take That also perform one of their new hits. Tess Daly and Claudia Winkleman present the results show from the Blackpool Tower Ballroom. The competition heats up as another dancing couple must leave. The judges scores are combined with the public vote, and the two couples with the lowest scores must return to the dance floor to compete against each other in the dreaded dance-off. There is also a magnificent group performance from the celebrities and professional dancers as they transport viewers to the Italian Riviera of the 50s. Take That also perform one of their new hits.